Anime is a diverse animated art form with identifiable production methods which have evolved over time in response to emergent technologies such as computer-generated imagery. Originating in Japan commercially as far back as 1917, its presence and cultural influence is now global and still growing. Anime combines graphic art, cinematography, characterization, and other forms of imaginative and unique techniques. It focuses less on movement and more on realistic settings such as three-dimensional views and camera effects such as angle shots, zooming, and panning. Because anime is hand drawn, it becomes distinct from reality and appeals to the audience’s need for escapism. Different art styles are employed and character features, such as disproportionately large emotive eyes, can often be found in anime productions. Over 430 production studios now make up the anime industry with some of the major studios being Studio Ghibli, Studio Pierrot, P.A. Works, Nippon Animation, TMS Entertainment, Bones, Sunrise, Gonzo, Madhouse, Gainax, and Toei Animation. In Japan, anime films are often the top-grossing films annually with 6 out of the top 10 in 2014, 2015, and 2016. Anime is now big business. The total market value of the anime industry in 2015 was $18.1 billion dollars, up 12 percent from 2014. Japanese artists began working with animation techniques in the early 20th century. The first publicly displayed works appeared in 1917 from animators such as Seitarou Kitayama and Oten Shimokawa. Kouchi’s Namakura Gatana, a two-minute clip of a samurai trying to test a new sword on his target, is the oldest surviving film. Animation has picked up sufficient momentum by the 1930s although it received stiff competition from foreign producers. While animators Yasuji Murata and Noburo Ofuji worked with cheaper cutout animation, Mitsuyo Seo and Kenzo Masaoka made significant advances in animation techniques. The first talkie anime was Masaoka’s Chikara to Onna no Yo no Naka, produced in 1933. By 1940, amine artist organizations had formed including Shin Nippon Mangaka and Shin Mangaha Shudan. Momotaro’s Divine Sea Warriors, directed by Seo in 1944 and sponsored by the Japanese Imperial Navy, became the first feature-length animated film. In the 1960s, the renowned animator and manga artist, Osama Tezuka simplified numerous Disney animation techniques to reduce expenses. The first anime shown on television was Three Tales, shown in 1960, and Otogi Manga Calendar, on air from 1961 to 1964, became the first anime television series. Japanese comic books and graphic novels called “manga” became very popular in the 1970s. Tezuka, now called the “god of manga” inspired new genres in anime such as the giant robot genre—later becoming the Super Robot and then the Real Robot genre. By the 1980s, anime experienced a boom in production and became increasingly accepted in foreign markets in the 1990s and in the new millennium. Finally, Hayao Miyazaki’s landmark classic, Spirited Away, won the Academy Award for Best Animated Feature in 2003 (see official trailer). The previously mentioned production companies organized into a trade association, The Association of Japanese Animations with a corresponding union for workers, the Japanese Animation Creators Association. Production costs for an anime episode can range from roughly $100,000 to $300,000. The popularity of anime can be best observed in the DVD market which contributes nearly 70 percent of total sells. There has been an increase in sales of anime shows to Japanese television stations which are caused by late-night anime with adults being the target audience. Anime must be licensed by companies in other countries in order to be released legally. This practice became more frequent in the United States in the late 1970s and the 1980s with shows such as Captain Harlock, Gatchaman, Voltron, and Robotech. In the early 1990s, American companies such as Central Park Media and A.D. Vision achieved success with more adult-oriented anime material. Fansubs, the addition of unauthorized and unlicensed subtitled translations of anime series or films, is a subject involving some controversy. Originally distributed on bootlegged cassettes in the 1980s, they have been freely disseminated online since the 1990s. Because copyright and piracy issues are involved, fansubbers go along with an unwritten rule to no longer distribute an anime once an official subtitled or translated version has become licensed. The relaxed regulations of the Japanese animation industry allowed fansubbing to grow underground increasing their popularity until the demand grew for official high-quality releases from the animation company. The net effect of this was to increase the worldwide popularity of Japanese animations. It is only natural that as technology has evolved, anime would be presented in new forms and formats. An example of this is Crunchyroll, an American publisher, distributor, licensing company, and international online community centered on video streaming East Asian media including anime, manga, electronic entertainment, drama, and music. Founded in 2006 by a group of University of California, Berkeley graduates, Crunchyroll now delivers its product to over 23 million online community members across the globe. It offers over 800 anime shows and 200 Asia dramas to users, plus 50 manga titles. Fast forward to 2016 in which Crunchyroll partners with Funimation with each company streaming the other’s titles. Given the increased popularity of anime in the western world, it is no wonder that bigger organizations have turned their attention to it. Amazon initiated an anime subscription service name Anime Strike and rapidly established itself as the only legal source in the US for some of the best anime of the season. Netflix has planned a whole group of new anime coming online in 2017 and 2018 and are working on 30 original anime series. In another corporate move, Sony Pictures acquired a majority stake in Funimation in 2017, combining Funimation leadership position in anime with Sony’s direct access to the creative pipeline in Japan. One Japanese anime series premiering January 5, 2018, Devilman Crybaby, written by Ichiro Okouchi and directed by Masaaki Yuasa, is based on Go Nagai’s manga Devilman. In this series, the main character Akira Fudo transforms into Devilman who possesses the powers of a demon but keeps the soul of a human. It was inevitable that anime would reach the realm of video games and in Louis Vitton’s Final Fantasy, the figure Lighting interprets the true meaning of a heroine. This cult series of video games has energized more than 100 million players around the world. According to Nicolas Ghesquire, “Lightning is the perfect avatar for a global, heroic woven and for a world where social networks and communications are now seamlessly woven into our life.” See Lightning’s first appearance. The joining of anime and marketing was also fated. The Three Stripes joined up with the anime series Dragon Ball Z to create a collaborative collection of eight Adidas shoes centered on the characters of the series. In August of 2018, the characters Son Goku and Frieza/Freeze will be matched with the Adidas ZX 500 RM; in September, Son Gohan and Cell will represent the new Adidas Deerupt and the Prophere; in November it will be Vegeta and Majin Buu will be matched with the Ultra Tech and the Kamanda; and in December, Shenlong and Super Shenlong will represent the upcoming EQT Mid ADV. In another example, the character Noodle, the super-hip guitarist from the group Gorillaz, will be the new global ambassador for the Panasonic Jaguar Racing team. Jaguar is banking on Noodle inspiring a new generation of artists, thinkers, creators, and doers to become involved in the innovative scene Panasonic Jaguar Racing promotes. 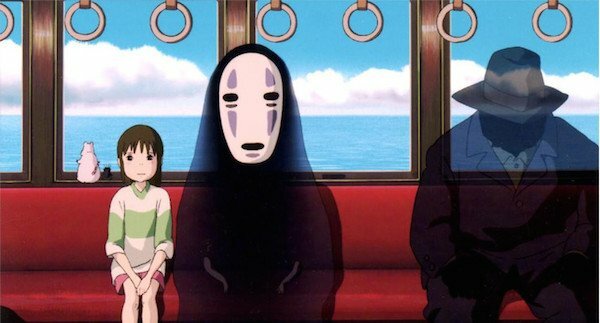 The awarding of Best Animated Feature Film at the Academy Awards in 2003 to Spirited Away was a landmark for the industry. However, it is with some disappointment that since the late 1990s, only nine animated films either fully produced or co-produced in Japan have been nominated for awards. In particular, in 2017, the movie Your Name, about two teenagers who became linked paranormally, ended up being a massive hit in Japan and Asia, even topping Spirited Away as the highest grossing anime film ever—and it was not nominated.